In Summer I adore fresh berries and a perfect use for them is in strawberry almond scones and blackberry scones. In Winter a white chocolate mocha scone can really hit the spot. It's indulgent, comfort food. In Spring a campfire scone can warm you up when there is still a chill in the air. But Fall just might be my favorite time of year for scones. I recommend oatmeal crunch scones with maple glaze, pumpkin pecan scones or maple pecan scones. A new Fall favorite? 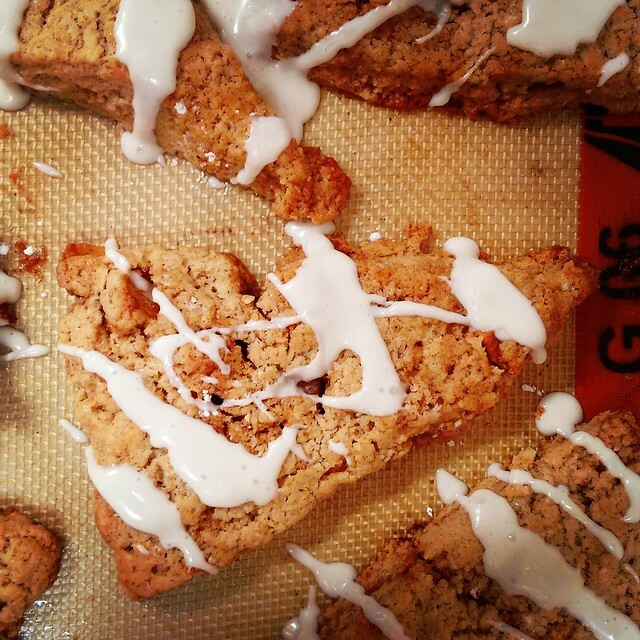 These Apple Pie Scones. Recipe from A Latte Food. Click HERE.